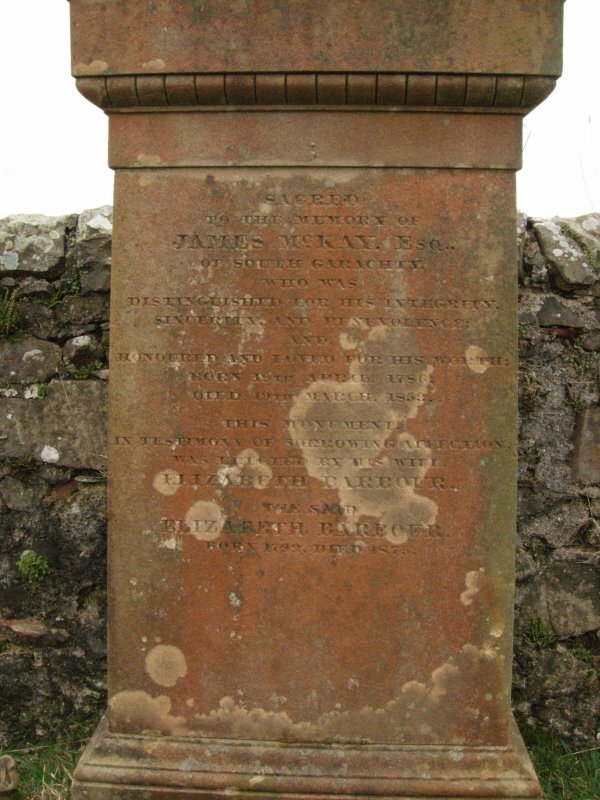 View of gravestone dated 1824. View of gravestone dated 1859. View of gravestone dated 1865. 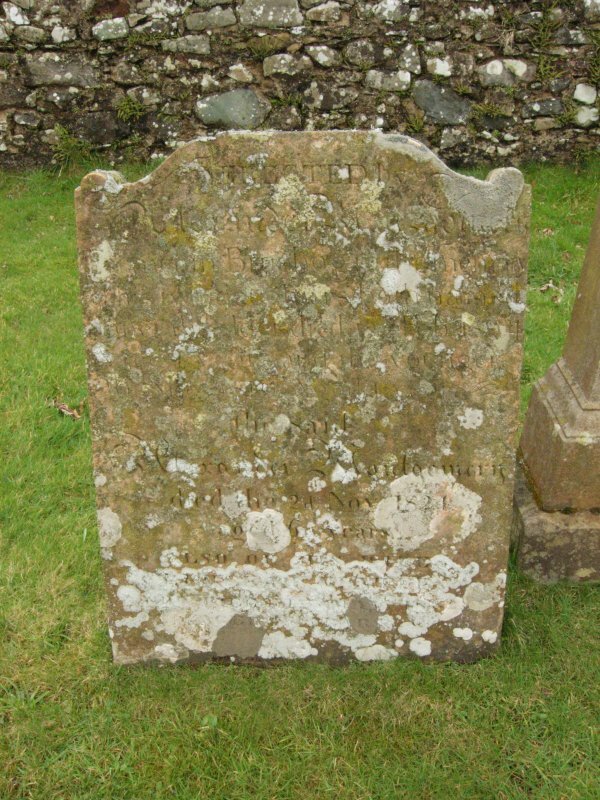 View of gravestone dated 1853. 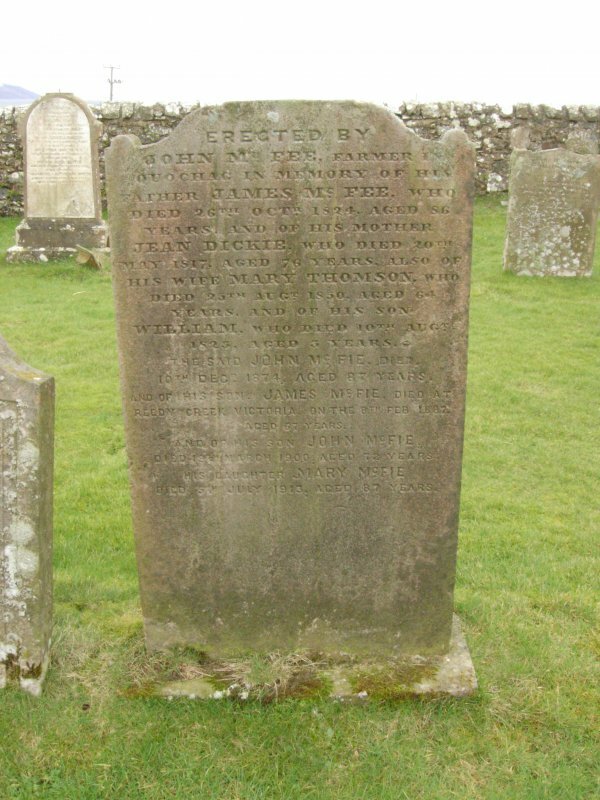 View of gravestone dated 1801. 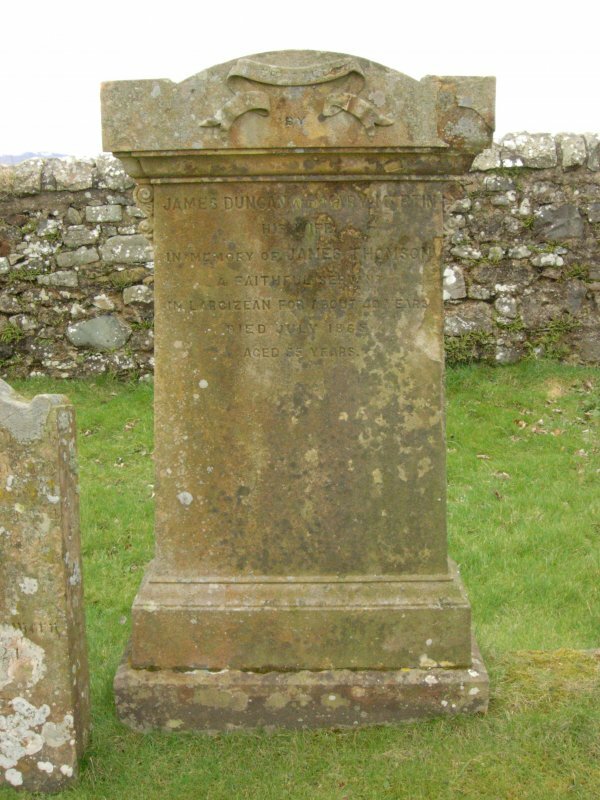 View of gravestone dated 1831. 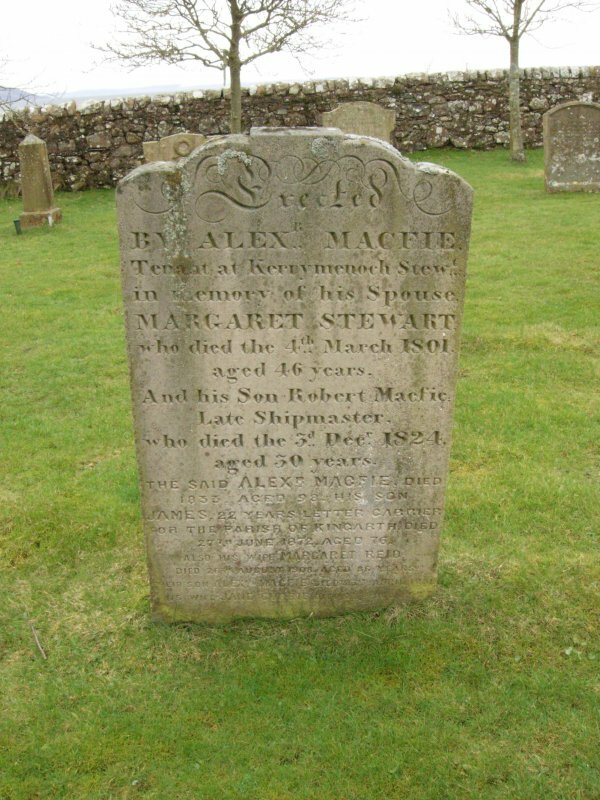 View of gravestone dated 1810. 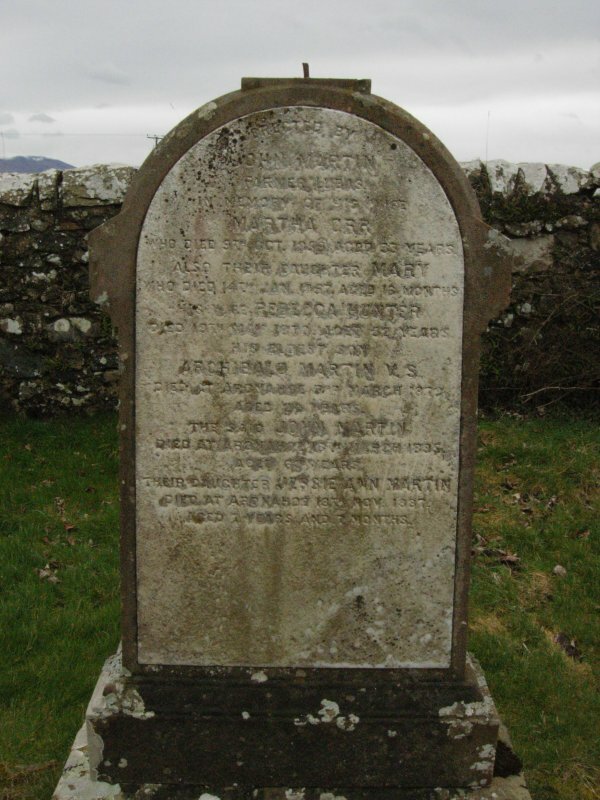 View of the site of the Kingarth parish church, from the W.
View of gravestone dated 1833. Detail of the commemorative plaque. 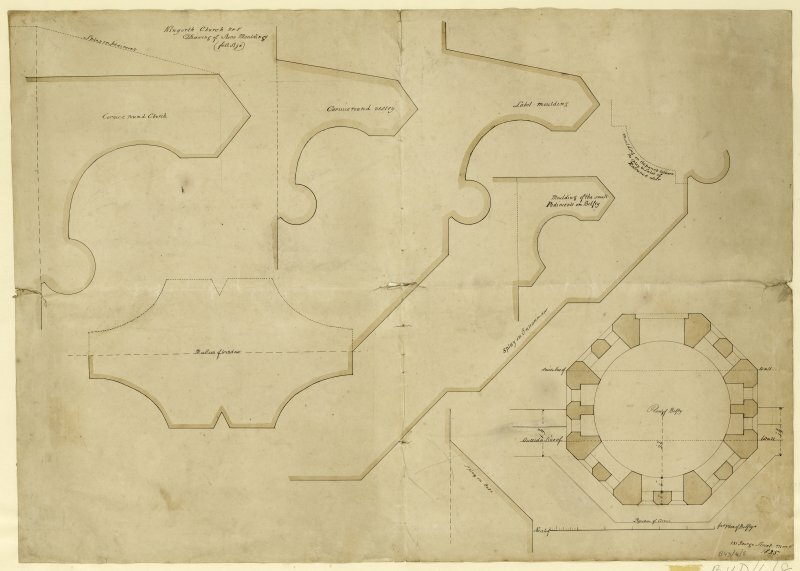 Extract from the OS 6-inch map. 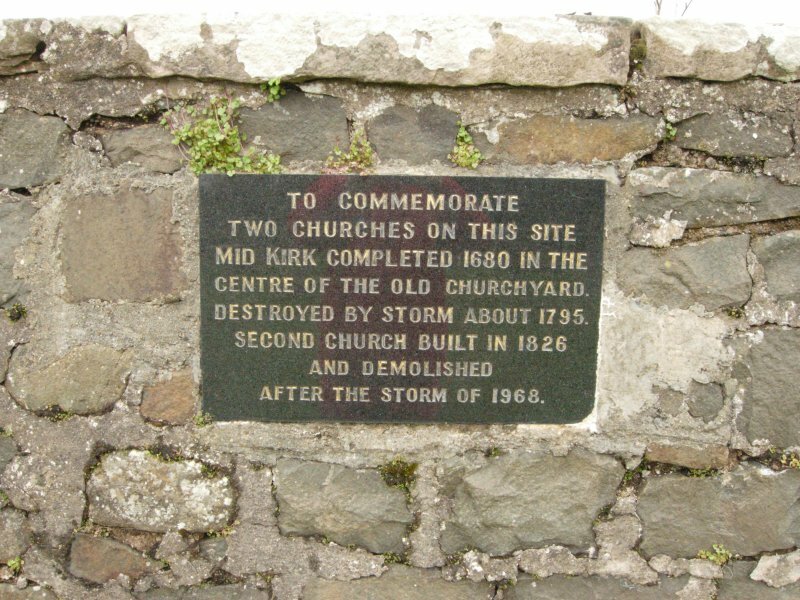 The present church of Kingarth was built in 1826, apparently on the site of one built in 1680, known as the 'Mid Kirk'. 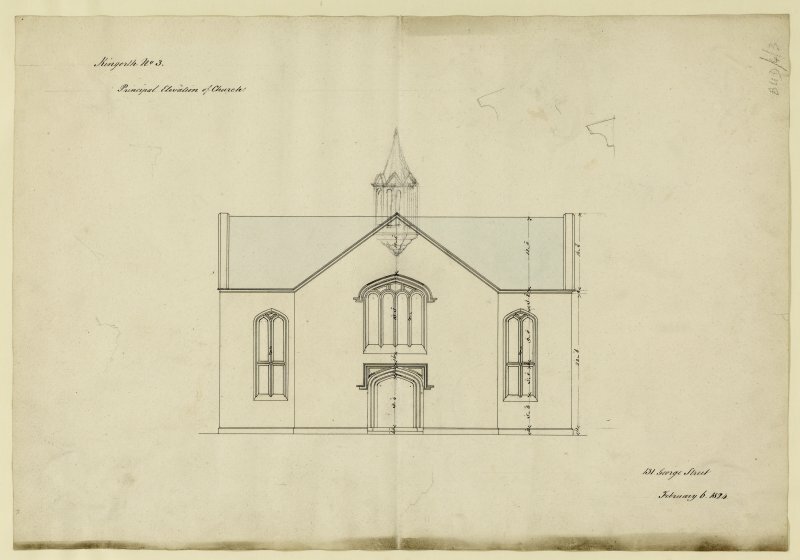 According to Mr Gilmour, The Tileries, Kilchattan Bay, the roof of this church was blown off in 1968 and the building was subsequently demolished. There is nothing to be seen on the ground today. 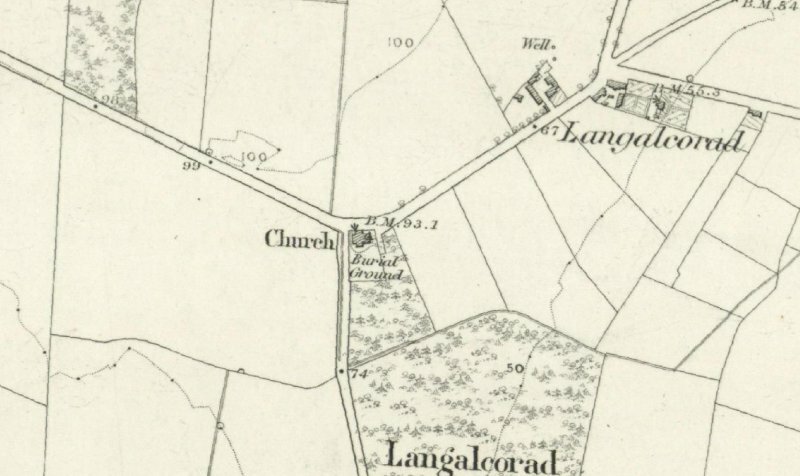 Nothing is now visible of the 19th century parish church at Kingarth, which stood within the N end of a burial-ground that has since been extended to the E to form a cemetery that remains in use today. 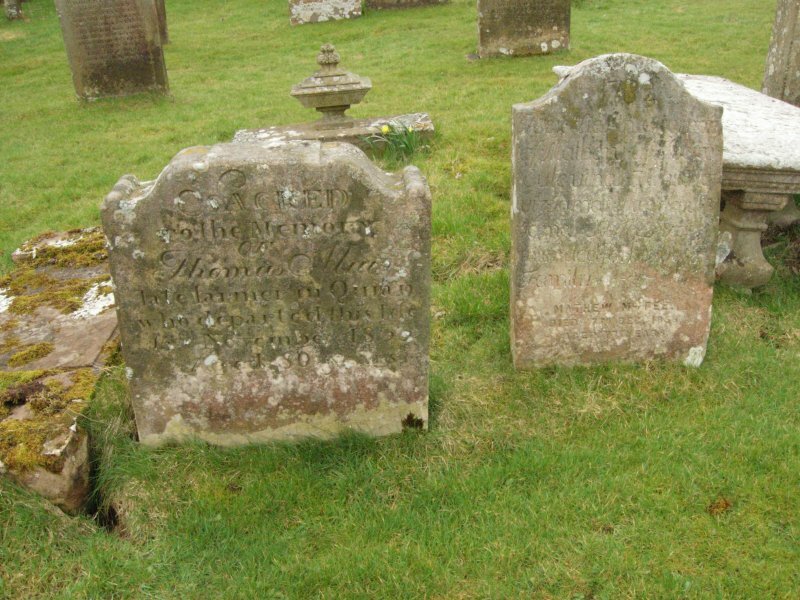 That building replaced a late-17th century church, but the earliest visible gravestones appear to be of late-18th century date. The church at Kingarth replaced the medieval church of St Blane’s (NS05SE 5.00) as the parish church and although Reid notes that the first minister to preach here was ordained in 1740, a commemorative plaque set into the wall of the cemetery records two churches here dating from 1680 to 1795 and 1826 to 1968 respectively, both of which were made ruinous by storms. The first church, the ‘Middle Kirk’, is depicted on Roy’s Military Map (1747-55) and also on a contemporary estate map (Foulis 1758-9). 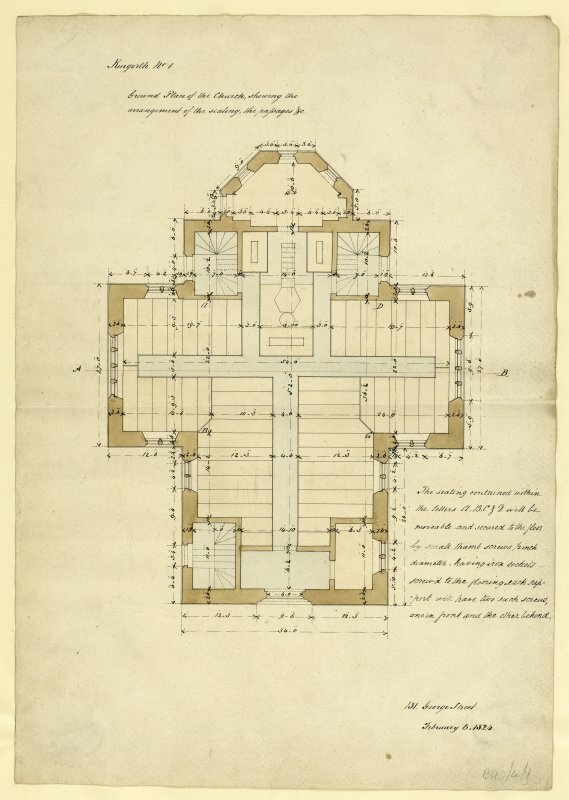 It was mentioned as the ‘ordinary place of worship’ in the parish in 1791 (Stat Acct , Vol.1, 313) and the building that replaced it in 1826 is noted as having a capacity of 600 persons (NSA Vol.5, 88; Wilson 1855, 124). This building was described in the 1860s as ‘an elegant and modern building’ (OS Name Book No.4, p.46). 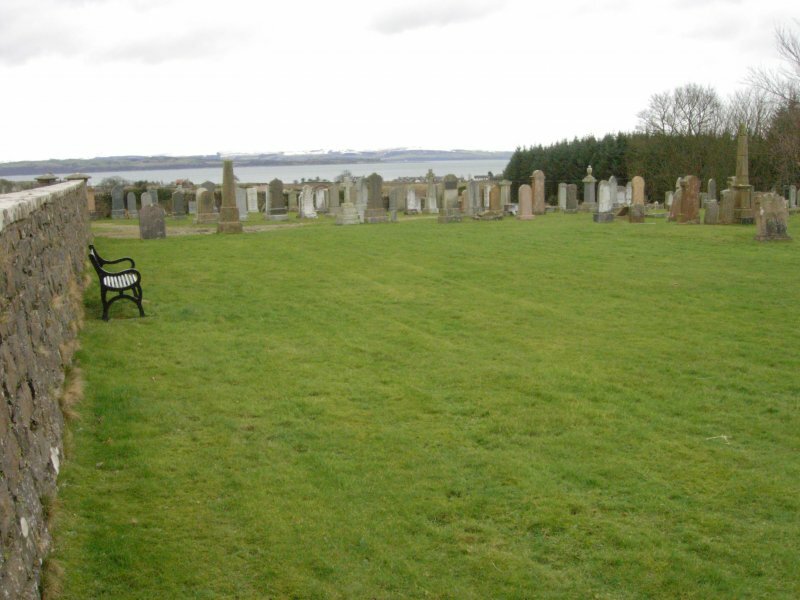 By the time the Third Statistical Account was published in 1962, the morning services were held here and the evening services were held at the former Free Church (NS15NW 22) 1.4km to the SE at Kilchattan Bay. Visited by RCAHMS (GFG) 31 March 2010. This Category C Listed church was demolished in December 1968. 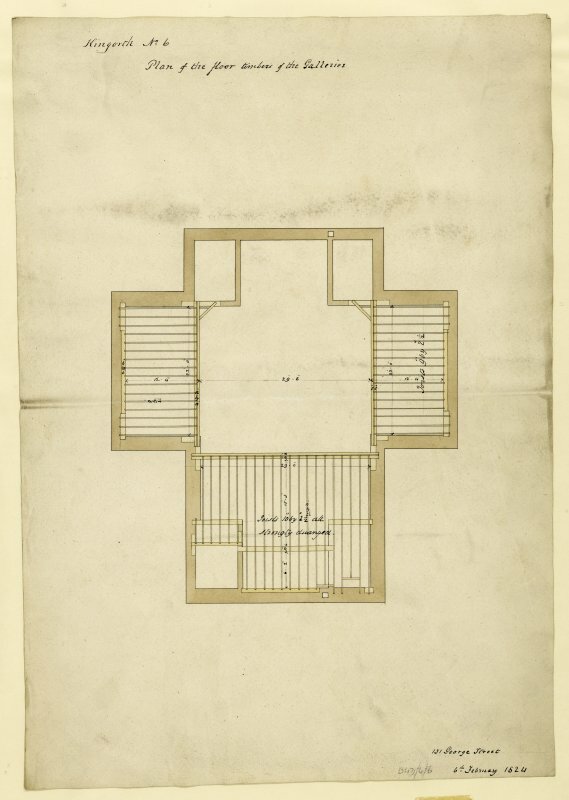 Information from Demolitions catalogue held in RCAHMS library. Visited by OS (BS) 26 November 1976. 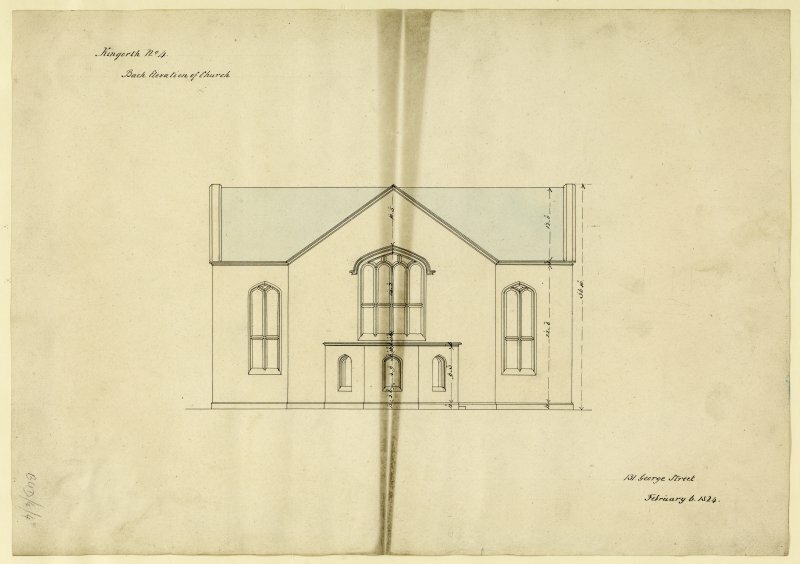 The church at Kingarth replaced the medieval church of St Blane’s (NS05SE 5.00) as the parish church and although Reid notes that the first minister to preach here was ordained in 1740, a commemorative plaque set into the wall of the cemetery records two churches here dating from 1680 to 1795 and 1826 to 1968 respectively, both of which were made ruinous by storms. 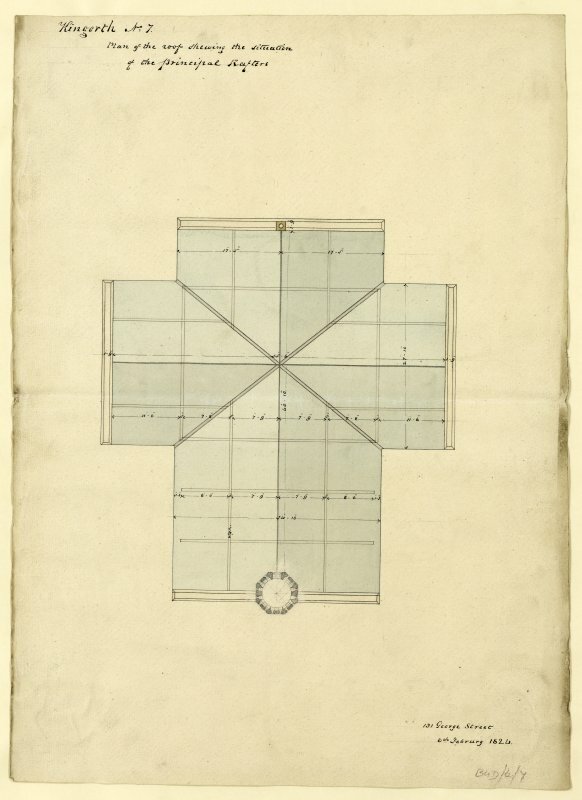 The first church, the ‘Middle Kirk’, is depicted on Roy’s Military Map (1747-55) and also on a contemporary estate map (Foulis 1758-9). 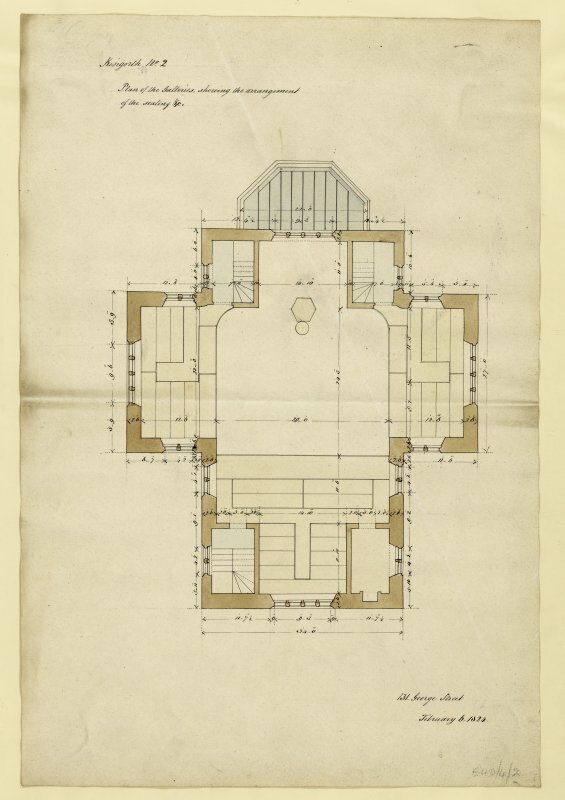 It was mentioned as the ‘ordinary place of worship’ in the parish in 1791 (Stat Acct , Vol.1, 313) and the building that replaced it in 1826 is noted as having a capacity of 600 persons (NSA Vol.5, 88; Wilson 1855, 124). 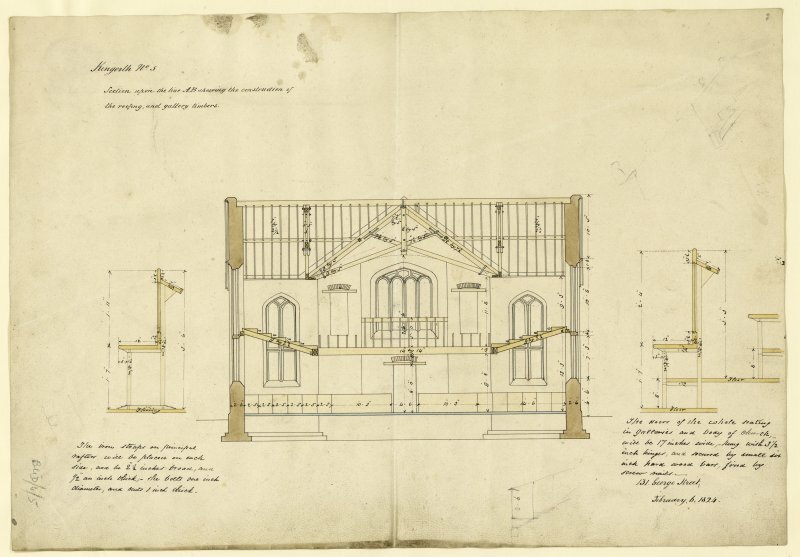 This building was described in the 1860s as ‘an elegant and modern building’ (OS Name Book 4, p.46). 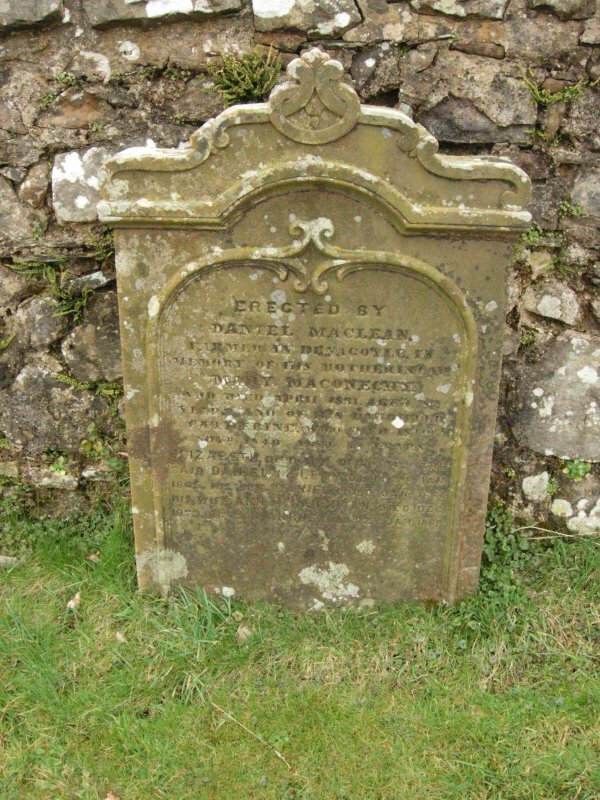 By the time the Third Statistical Account was published in 1962, the morning services were held here and the evening services were held at the former Free Church (NS15NW 22) 1.4km to the SE at Kilchattan Bay.